Gene England led the 19410-41 Wisconsin Badgers to the the the NCAA Championship and was named to the All-American team. After graduation, he joined the Oshkosh All-Stars of the National Basketball League in the fall of 1941. In his rookie season, England was a valuable member of the veteran Oshkosh squad and led the team in scoring during the playoffs on route to the NBL championship. The All-stars reached the NBL finals two more time in 1943 and 1945, but failed to capture another championship. After service in World War II, Englund returned to Oshkosh and enjoyed the three best years of his career. When the NBL merged with the BAA in 1949 to form the modern NBA, Oshkosh was left without a franchise. 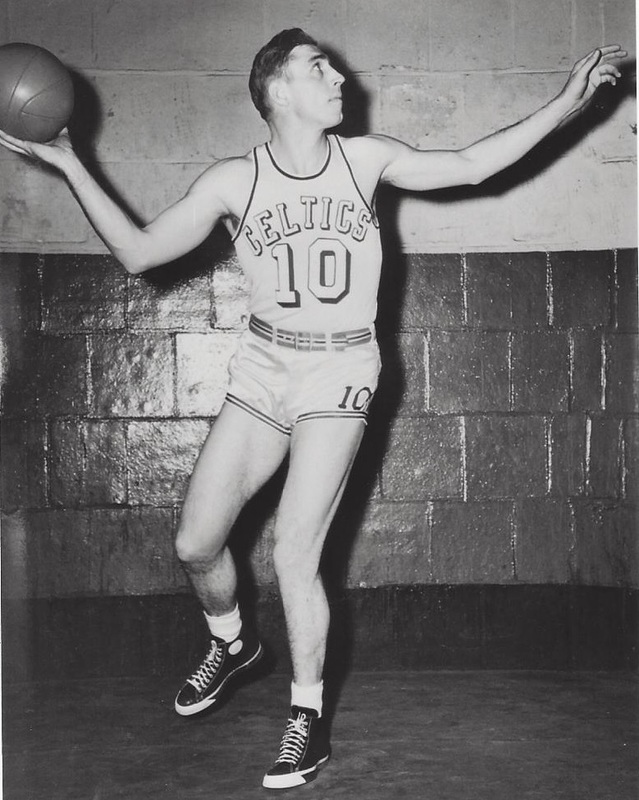 England finished out his career during the 1949-50 season, splitting his time between Boston and Tri Cities. Gene Einar England Born: Oct 21, 1917 Died: Nov 5, 1995 Hometown: Kenosha, Wis.